Forget about feeling guilty when you eat this chocolate. These taste so good that you probably won’t believe they’re actually good for you! All the ingredients are healthy and natural, and will give you a boost of energy throughout the day without the need to turn to sugary energy drinks or unhealthy snacks. Unlike most chocolate bars, raw chocolate contains very high levels of antioxidants, vitamins and minerals. 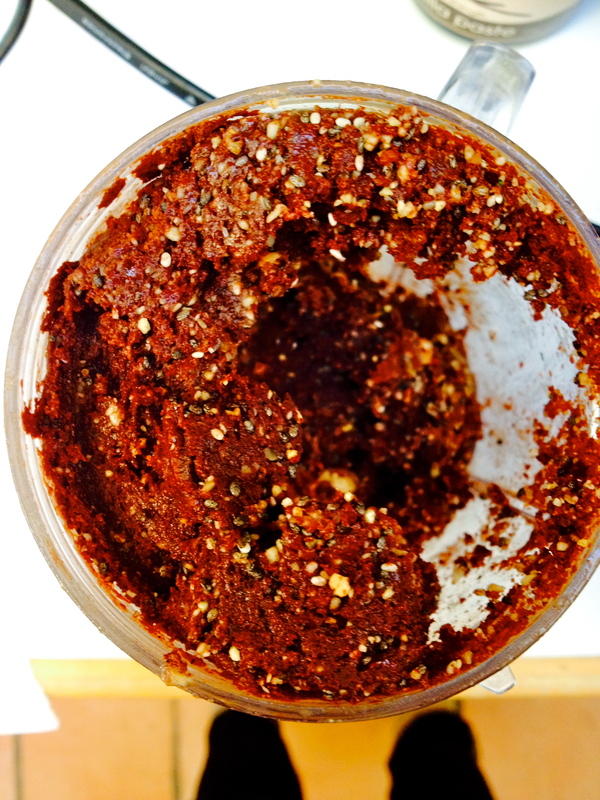 Raw cacao – coming straight from the raw cacao bean – is unprocessed, so all the nutrients are retained! Wet your hands a little, and with damp hands (so the mixture doesn’t stick to you) roll the mixture in to little balls – about the size of a big conker or just a little bit bigger than bite – size. 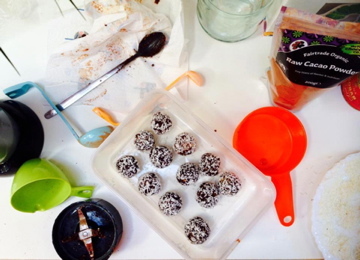 Roll each conker – sized chocolate ball in dessicated coconut. Either put them in the fridge to cool for a little while, or share them out straight away.